Gunn Acura will be celebrating the release of the brand-new 2014 Acura MDX with a launch party on June 25th at its showroom in San Antonio, Texas. Summer temperatures are starting to sizzle, but the change of seasons isn't the only thing responsible for turning up the heat in San Antonio. Luxury car maker Acura is at it again, putting the rest of the luxury car market on notice as it gets ready to ship the newly re-designed 2014 Acura MDX SUV to showrooms everywhere. Better grab your sunscreen, because it's about to get a whole lot hotter. To celebrate the new iteration of Acura's best selling cross-over, Gunn Acura has announced it is hosting an MDX Launch Party on June 25th at its showroom located at 11911 IH 10 West in San Antonio, Texas. MDX enthusiasts are invited to take a closer look at this highly anticipated luxury car. Hors D'oeuvres will be served, and the first ten guests to R.S.V.P. will receive a gift basket that includes four tickets to a San Antonio Missions baseball game. The party starts at 6:30 p.m. Already burning up expectations, the brand new MDX has got competitors sweating in anticipation for the next big thing from Acura. 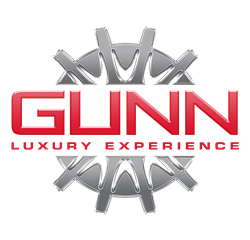 Gunn is setting the stage for a local unveiling to give the public a taste of what they can expect, and to set their hearts and imaginations a light. There is no doubt that the display will fan the flames of at least one other emotion - that of desire. When the concept version of the MDX was unveiled at the Detroit Auto Show back in January, reviewers were elated that Acura had introduced so many changes to the original design. Those changes came as a result of an increase in government gas mileage standards (CAFE) as well as a desire to give Acura drivers a respite from higher gas prices. To meet both of the challenges, Acura introduced a new 3.5 liter V6 engine, a more aerodynamically sculptured profile and a newly engineered swept back look to improve air flow around the MDX by over 16%. Focused on a way to increase gas mileage, they looked to the heart of the beast, giving the engine an ability to shut down cylinders depending on driving conditions. Variable Cylinder Management enables the engine to disable half of the engine's cylinders when the car is moving under low-loads as well as conserving fuel when drivers are coasting or keeping constant speed on flat roads. Not solely focused on fuel economy, Acura made changes to the MDX's interior design as well, providing drivers and passengers with the comfort and luxury that has always belied the MDX moniker. The wheelbase of the SUV has been lengthened substantially, allowing for more leg room in the rear seating area. Utilizing "Advanced Compatibility Engineering", Acura has made changes to the body structure to maximize the protection of occupants in a collision. They also made improvements to ensure that drivers are given technology to help reduce accidents before they happen. Offering next-generation Acura Link connectivity and a telematics system, MDX drivers will have all the information they need from navigation, traffic and weather reports all at easy reach of their fingertips. There’s smartphone technology integrated into the system utilizing cloud-based access and now they can stream Pandora and AHA Internet radio. SMS text messaging and e-mail capabilities are now installed to keep you safe while being connected whenever you are driving. The new MDX has been revitalized and re-imagined with many features that even backseat drivers will be enamored with. A third-generation model, the 2014 MDX is ready to prove to car buyers just what is possible with smart thinking and even smarter execution. The new version of their best selling 7-passenger, 3-row luxurious crossover is doing more than just turning heads. Its setting the world’s imagination on fire. Acura MDX San Antonio is the only thing you need to write on your calendar for June 25th and Gunn Acura is the only place you'll need to be. With the unveiling of the 2014 Acura MDX on June 25th, Gunn Acura is betting that their launch party will be the hottest thing in town.